Our networks are at the forefront of technology, science, and geek culture. TWiT.tv was established in 2005 and provides tech news, commentary, help, how-to, and reviews on the latest technology trends. TWiT.tv features the #1 ranked technology podcast This Week in Tech, along with 15 other top-ranked online shows. Seasoned experts and journalists join founder and principal host, Leo Laporte, on this highly-acclaimed network. This Week in Tech is your weekly cheat sheet for everything that’s happening in the tech world. Join Leo Laporte and an ever-changing panel of experts as they discuss the who, what, and why of tech news. The most valuable company in the world needs the best coverage the world has to offer. Leo Laporte, Alex Lindsay, Rene Ritchie, and Andy Ihnatko delve deep into the inner workings of the makers of the world’s favorite smartphone on MacBreak Weekly. Security Now could be the most important show you watch all week. Security guru Steve Gibson joins Leo Laporte every week to guide us through the minefield of ransomware, viruses, cyber espionage, and hacking. A weekly look at all things Microsoft, including Windows, Windows Phone, Office, Xbox, and more. Join Leo Laporte and two of the foremost Windows watchers, ZDNet’s Mary Jo Foley and Paul Thurrott, editor-in-chief of Thurrott.com. Google, Amazon, Facebook, and other tech giants reshape the world every week. Join Leo Laporte, Jeff Jarvis, and Stacey Higginbotham to talk tech, media, and privacy on This Week in Google. The Tech Guy is Leo Laporte's national radio show, which focuses on caller questions about computers and technology. Syndicated by Premiere Networks, it can be heard in more than 180 markets. Hosted by Leo Laporte, Jason Howell, Megan Morrone and other TWiT friends. Tune in for hands-on reviews, previews, and unboxings of the hottest tech gadgets like the latest smartphones, notebooks, wearables, and smart home devices. Hosted by Megan Morrone and Jason Howell, Tech News Weekly takes a deeper look at some of the week’s biggest and most important tech news stories, featuring interviews with the people breaking or making the news worldwide. iOS Today is hosted by Leo Laporte and Megan Morrone. Each week, explore a new topic through apps on your iPhone, iPad, Apple Watch, and Apple TV. Plus, get all the latest iOS news, product reviews, and answers to your burning iOS questions. If you have an iPhone, you need this show. All About Android is a weekly news show for fans of the world’s most popular mobile operating system. The hosts discuss the biggest Android news, review the freshest hardware, demo the best apps, and chat with Google’s top brass and independent developers. Every week, TWiT hosts Leo Laporte, Megan Morrone, and Jason Howell invite the biggest thinkers in the tech world to Triangulation. What was it like to start Atari? How did the FBI catch the biggest criminal on the Dark Web? What ever happened to the third founder of Apple, who gave it all up for $1700? Find out on Triangulation. This Week in Enterprise Tech explores the world of emerging enterprise tech in the global marketplace. Hosted by Lou Maresca, TWiET features IT professionals explaining the ins and outs of enterprise solutions. This Week in Computer Hardware brings you the latest in motherboards, CPUs, GPUs, storage, RAM, power supplies and monitors. Hosts Patrick Norton and Sebastian Peak bring you the newest hardware, talk benchmarks and even dive into the not-yet-released products on the horizon. Ham Nation is TWiT.tv’s show about Amateur Radio, covering the excitement and importance of ham radio, from tossing a piece of wire in a tree to talk to the world, to the importance of ham radio during disasters. Hundreds have learned how to build their own transmitters through the weekly ”Pine Board” episodes on the show. We're not talking dentistry here; FLOSS Weekly is all about Free Libre Open Source Software. Join host Randal Schwartz every Wednesday as he talks with the most interesting and important people in the Open Source and Free Software community. 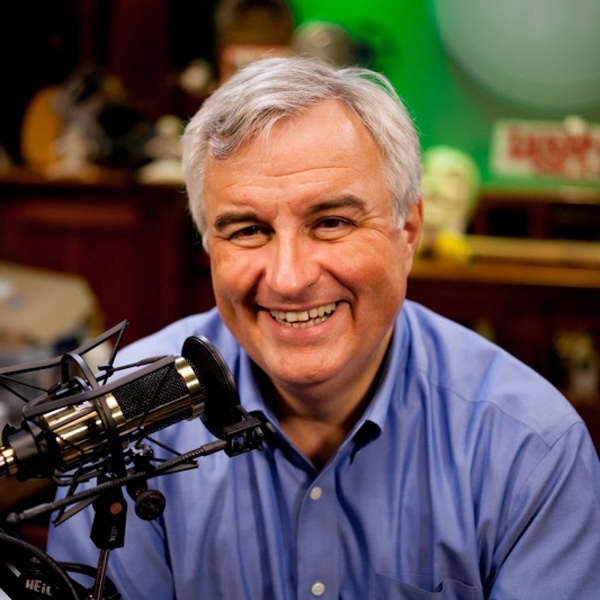 Leo Laporte and the TWiTs bring you live-on-location events, special interviews, shows in beta, and more! Experiences like CES, NAB, and SXSW, plus an inside look at product announcements, iconic keynotes, and more! Interested In Partnering With Artisanal Agency?